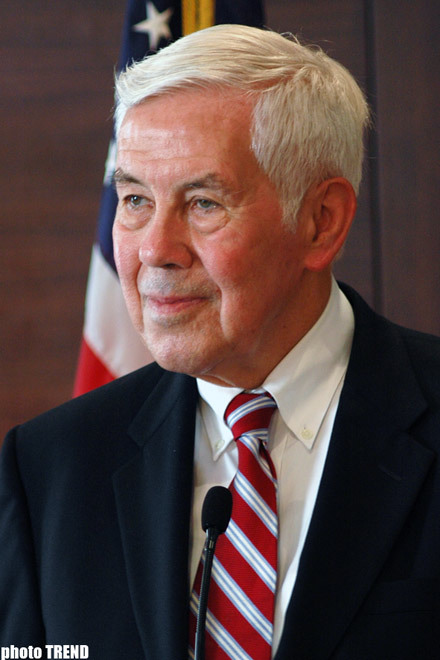 Azerbaijan, Baku, 25 August/ Trend , corr R. Novruzov/ Russia's recognition of independence of Abkhazia and South Ossetia is simply a PR move and does not hold any force, Senator Richard Lugar, the member of the foreign relations committee of the US Congress said in Baku on 25 August. On 25 August, the State Duma (parliament) of Russia unanimously supported the appeal to President to recognize independence of South Ossetia and Abkhazia, Vesti TV channel said. Russian parliament assembled in an emergency meeting to discuss the possibility of recognizing independence of South Ossetia and Abkhazia. The Council of Federation voted unanimously for the independence of Abkhazia and South Ossetia. The diplomacy with Russia needs to be re-conceived from the standpoint of its aggression, Senator said.